Now is best season for sardines. 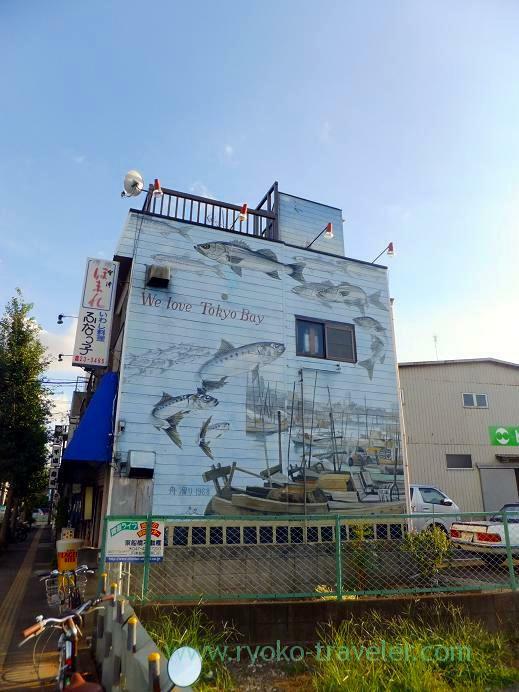 Sardines caught in Chiba area have high reputation. 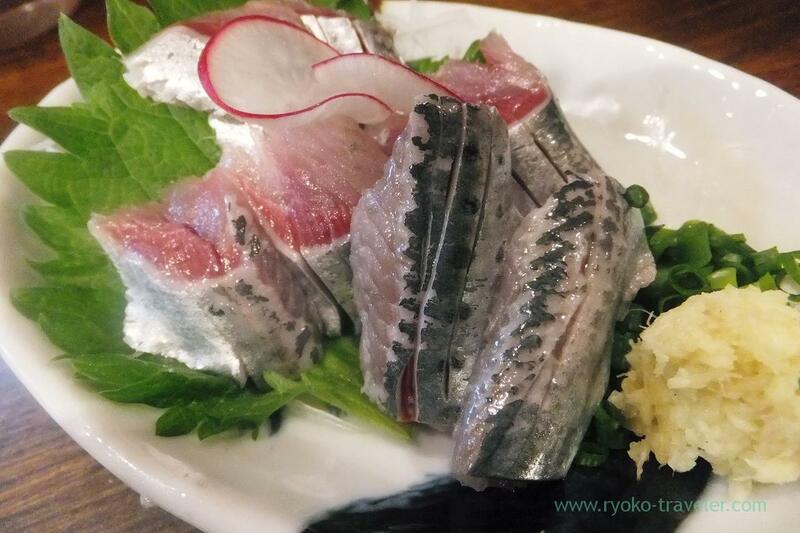 And such a high-level sardine dish can be eaten here, “Funakko”. Well, I don’t know whether they use sardines from Chiba or not. Anyway, they prepare awesome sardines every time. Appearance of Funakko we visited before. The apperance has changed ? Yes, it has changed ! Not only its apperance. 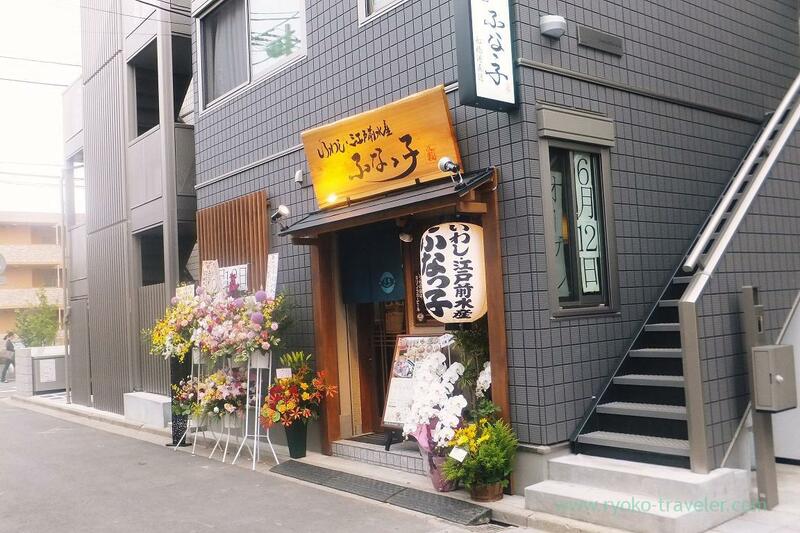 They moved in front of Higashi Funabashi station ! Lots of flowers for celebrating new shop are in front of the shop brilliantly. Contrary to former house’s atmosphere, it is bright ! The staffs are cheer ! Almost all staffs are not changed ! But the quality of their foods are not changed ! Those were delicious as last time ! The most simple way of tasting awesome sardine is it all the same. 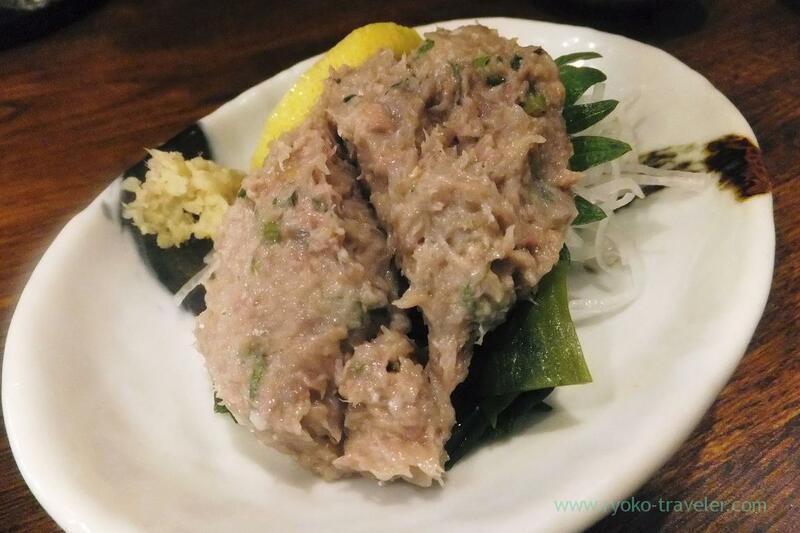 Also horse mackerel is good for namero ! It’s my delight ! I love mentaiko ! 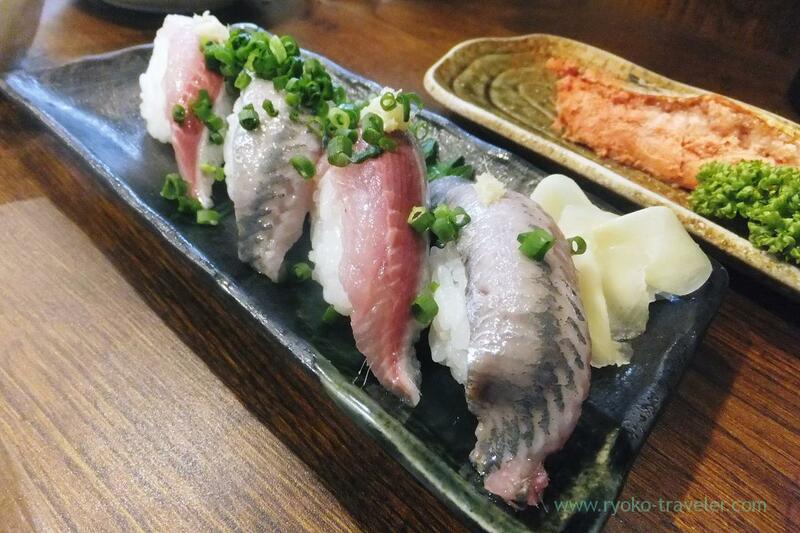 The sardine was cut and removed its innards and then put mentaiko into it instead of the innards. Then it was grilled well. 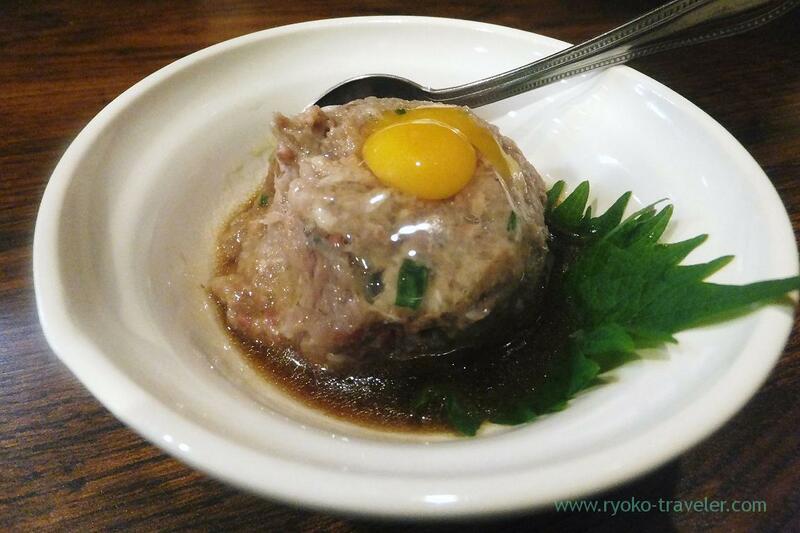 If you love mentaiko, you should try it by all means ! 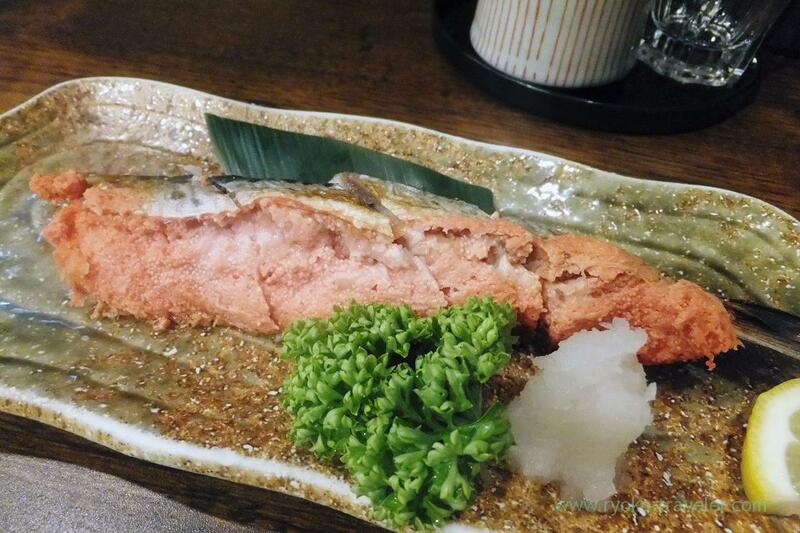 Only it was not sardine when we ate at that time. 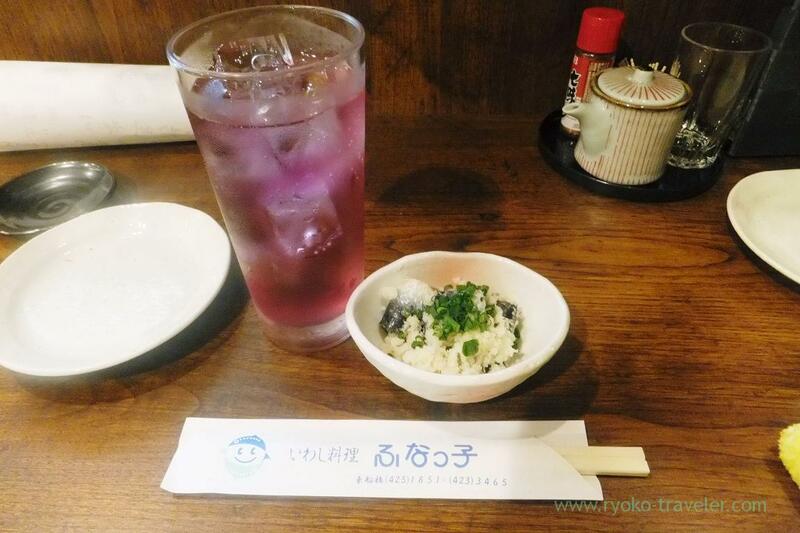 But seaweed is specialty of Funabashi. 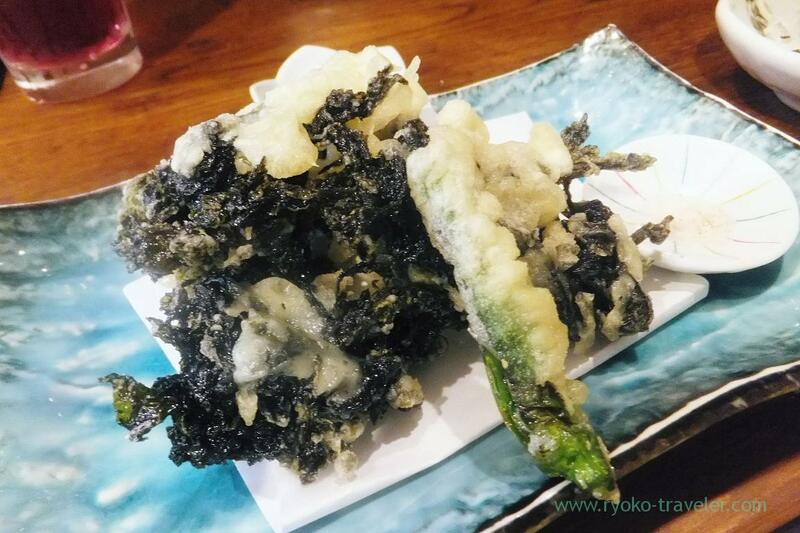 So, we couldn’t help but order something seaweed. 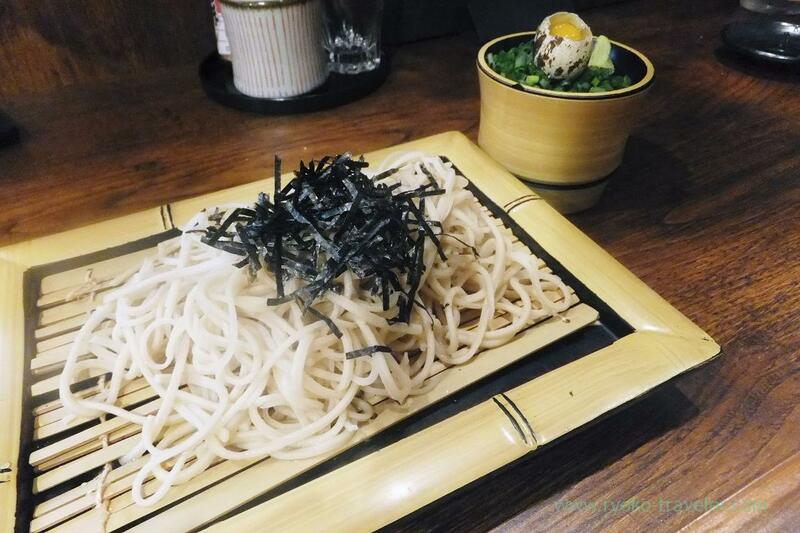 Its soba had powdered sardine. It was hard just a little and it didn’t have the flavor of sardine at all. We were dissatisfied with it only. 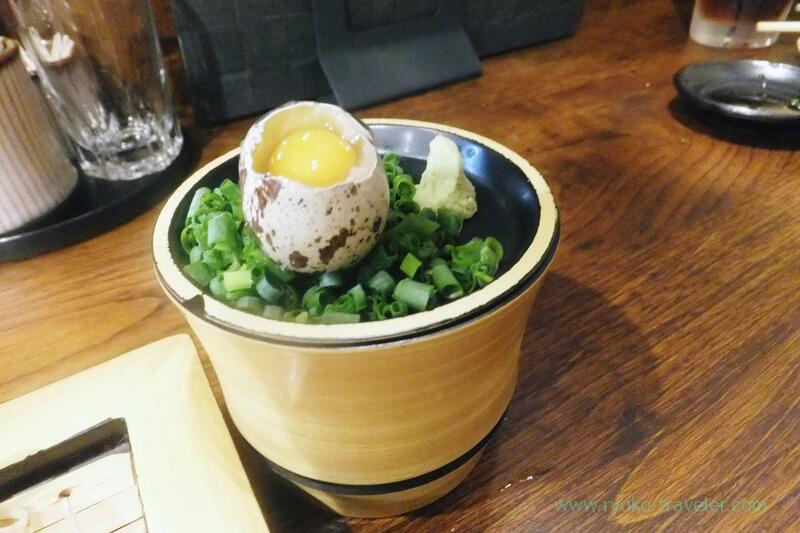 It is the post that we ate at Funakko last time.